I can't believe we leave California the day after tomorrow. It feels a lot like home. I moved house three days before we left on our trip, so I've lived in our borrowed home longer than my house in Oxford. I'm looking forward to going back and settling in - but I'll definitely miss the incredible food, the people and the gorgeous weather I've become accustomed to. As well as producing eggs, lemons and strawberries, our borrowed garden has a bed of beetroots. I've never eaten much beetroot - a bad pickled experience put me off - but I felt I should give them another try, perhaps with the ever persuasive salve of butter, flour and sugar. I've come across the combination of beetroot and chocolate in a few places (including this gorgeous video), and thought it would be fun to give it a go. So I went out into the garden, grasped some pink stems and pulled. I couldn't get a smooth puree in the blender I was using (the blade didn't reach out to the edge and I had a small amount, so it just spat it up the sides and whirred uselessly). The original recipe stated grated or pureed, so I carried on - I wish I could have pureed it. 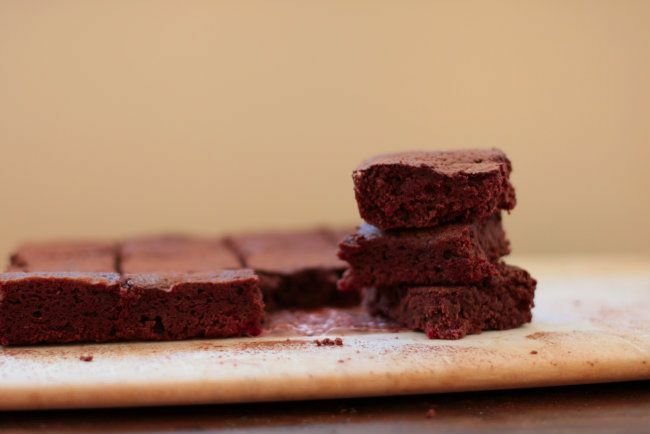 The little grated pieces didn't meld into the brownie, so there were some rather intense beetroot bites. The other bites were wonderful - earthy and rich. 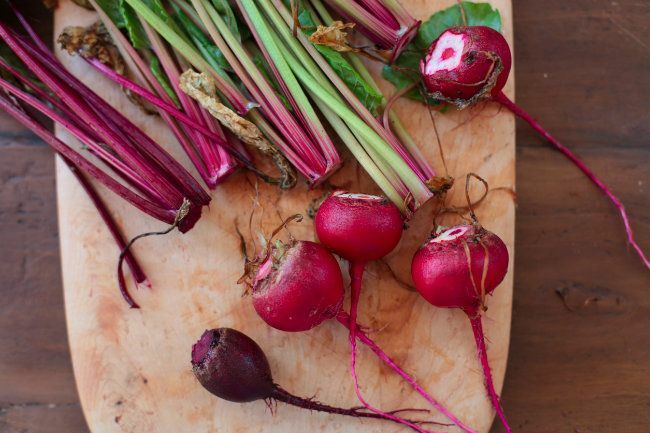 Chop the beetroots into quarters and place into a small saucepan with a pinch of salt. Cover with cold water then place over a high heat. Bring to the boil then cook for around 10 minutes until they yield softly to a sharp knife. Drain, keeping the bright pink water. Puree in a food processor or blender with 2 tablespoons of the cooking juice. Preheat the oven to 170C/325F. Grease a 20x30cm tin and line the bottom with baking parchment. Place the chopped chocolate and cubed butter into a medium mixing bowl. Place over a simmering saucepan of water, making sure the bottom of the bowl doesn't hit the water. Stir gently until everything has smoothly melted, then take off the pan and leave to cool a little. In the bowl of a stand mixer (or with a hand whisk), whisk the eggs and sugar until thick and frothy - it should look paler, but will still be golden from the brown sugar. Stir in the cooled chocolate and butter mixture (it should be body temperature or lower). Sift the flour and baking powder over the top, then fold in with a metal spoon. Finally add the beetroot puree and fold it in. Transfer to the tin, then sprinkle with the sea salt. Place into the oven and bake for 20-25 minutes, or until the mixture is set and a toothpick comes free with a free damp crumbs. Leave to cool a little then cut into squares. Freezes very well, like all brownies (I tend to prefer them after freezing). Those look wonderful!! 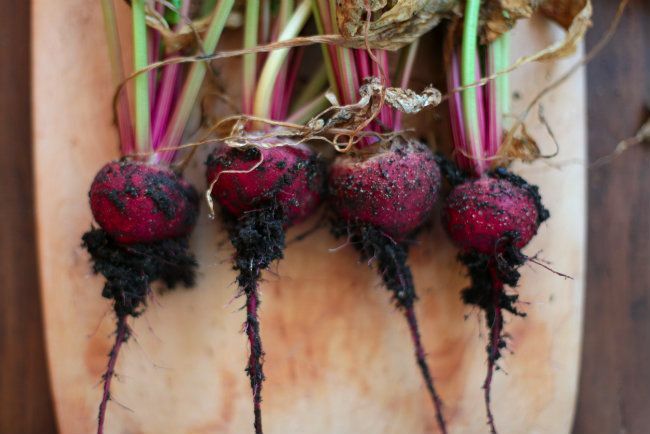 I tried to grow some beets this year, but none of my seeds took. I will have to try again, or just pick up some beets to try this recipe. I love beets and I love chocolate, so I don't know what could be much better. I have made something similar and it was delicious. Those brownies look great. Who knew such a combination could work! I wish you luck in your return home to your new place. What a treat. And your brownies look so interesting. 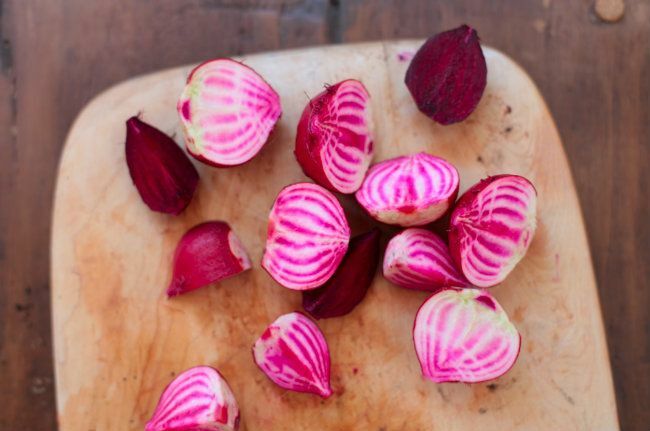 Those beets are stunners - no surprise coming from that amazing garden. I made this Hugh recipe about a year ago and grated my beetroots (I don't think the recipe in his book suggests pureeing them). 100% agree, the lumps of beetroot taste a bit odd. They're so much fun to make though - I loved grating all that blood red juiciness. The house you stayed in sounds like heaven! 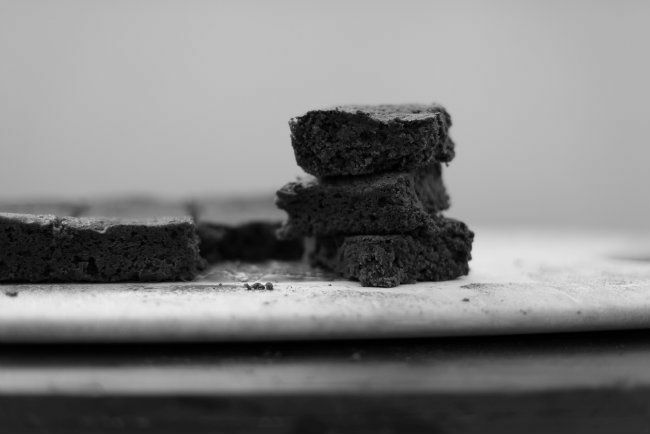 What a great find, and these brownies are just beautiful. 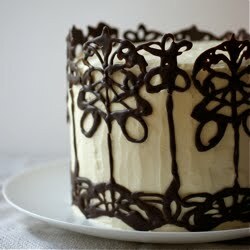 Vegetables in cakes is fast becoming my first choice of cakes. Roasting and grating with a fine microplane gives the best result I find with the beetroot and chocolate concoctions. Jenny - That's a shame - I've never tried growing them myself. I hope you do try them, it's an interesting recipe. M - It's crazy how some odd combinations work! Though I guess they're both quite dark and earthy. thelittleloaf - Ahh, maybe it was a post-book idea to puree them. It definitely would be an improvement. I loved how red they were - they stain everything though! Madison - It was heaven! I still can't believe our luck. tori - That sounds fascinating! Surprisingly I haven't tried many of the savoury chocolate dishes - perhaps I need to try. Domestic Executive - Roasting sounds like a wonderful idea, it always seems to bring out the flavour. I'll try that next time, thanks for the tip! I'm sure this is NOT what I'm supposed to be doing with the beets from my CSA, but so what? Followed a link back here from Fork the Cookbook. This is a phenomenally great idea! Today my children ate their first beetroot! Thanks!